A great night's sleep starts with the right pillow for you. From early childhood through old age, people love their bed pillows. Throughout the night, a pillow is fluffed, sniffed, cuddled, and most likely drooled upon. In the morning it is again ritually fluffed (and perhaps sniffed and snuggled some more) before being tucked under the bedspread for its daytime nap. 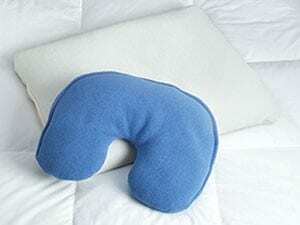 Do you pack a pillow along when you travel? I always do. I take one of my favorites because it’s an easily transported vestige of home that provides physical and psychological comfort. 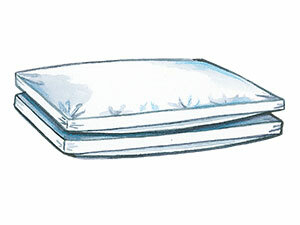 But, do you know the bed pillow’s primary purpose? Have you ever wondered when you should replace your beloved pillow? For these answers and more, read on! What’s the Real Purpose of a Bed Pillow? There are numerous reasons we have pillows on our beds. Some folks stack them up for reading and watching TV before falling asleep. Others use them to prop their head up so they can breathe better and/or snore less. But first and foremost, sleep experts agree that the goal of using a pillow is to have your head sitting squarely on your shoulders without bending too far back or reaching too far forward. This perfect placement of your head during sleep is called neutral alignment. How Often Should You Replace Your Bed Pillow? Unless your pillow is guaranteed to retain its loft for longer, sleep experts recommend you replace a pillow every 12 to 18 months. After two years, it’s definitely got to go. Yes, even if it’s washable! If you are a skeptic like me, you’ll ask “Why? Because people who sell pillows want you to buy one, right?” Wrong. For one, if your pillow is past its prime, it may contain skin cells, mold, mildew, fungus, and dust mites, which can make up more than half of an older pillow’s weight. The other reason refers back to neutral alignment. With the passing of time and nightly use, a pillow will no longer hold true to its original density; its fill flattens, breaks up, or leaks out, thus no longer providing the right amount of support for your head to maintain proper alignment. Feel bad about throwing out your old pillow? Transform it into a kitty or dog bed. If they don’t like it, that’s another clue that it has passed its prime. When It’s Time to Replace a Pillow, How Do You Know Which One Is Best for You? You sleep on your back: You need a thinner pillow, so your head is not thrown too far forward. Also, look for a pillow with extra loft in the bottom third of the pillow to cradle your neck. Try our premium Down Sleeping Pillow. You can move the stuffing around so that you have the most support where you need it; this adjustability makes it perfect for back and side sleepers. You’re a side sleeper: You need a firmer pillow to fill in the distance between your ear and outside shoulder. Try our Non-Flattening Fossfill Pillow (also known as the “hospitality pillow” because better hotels provide it to all their guests). If you sleep on your side and suffer from chronic or occasional back pain, you may find relief by placing The Vermont Country Store’s Slender Bed Pillow between your knees. pillow. The Vermont Country Store’s Slender Pillow is perfect; it’s a hard-to-find size made especially for us that’s about 3” thick, so you can use it alone, double them up, or pair with any other pillow — and you won’t wake up with a stiff neck. The pillow filling best for you depends on how you’re feeling on a given day. Most sleep experts encourage people to have more than one type of pillow to choose from. If your neck is sore one night, you may want a pillow to support it. When it feels better, that same pillow won’t be as comfortable. On a double bed, you could have four or more pillows and use them to prop you up to read or watch TV, and then simply remove the ones you won’t use that night before turning the lights out. 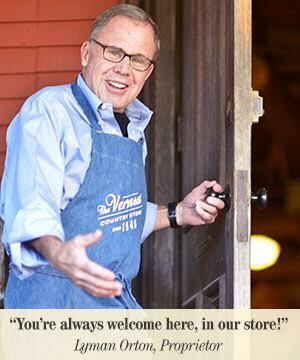 Here are three options from The Vermont Country Store that will fulfill your needs as well as those of your overnight guests. 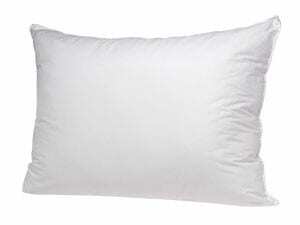 The Finest-Grade Down Pillow: A combination of down and feathers is preferable over a pure down pillow, because feathers act like springs and are supportive. 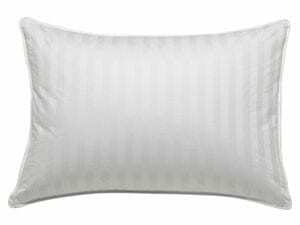 They’re soft, yet firm enough to give you the support you need, so these are one of the best pillows for a good night’s rest. 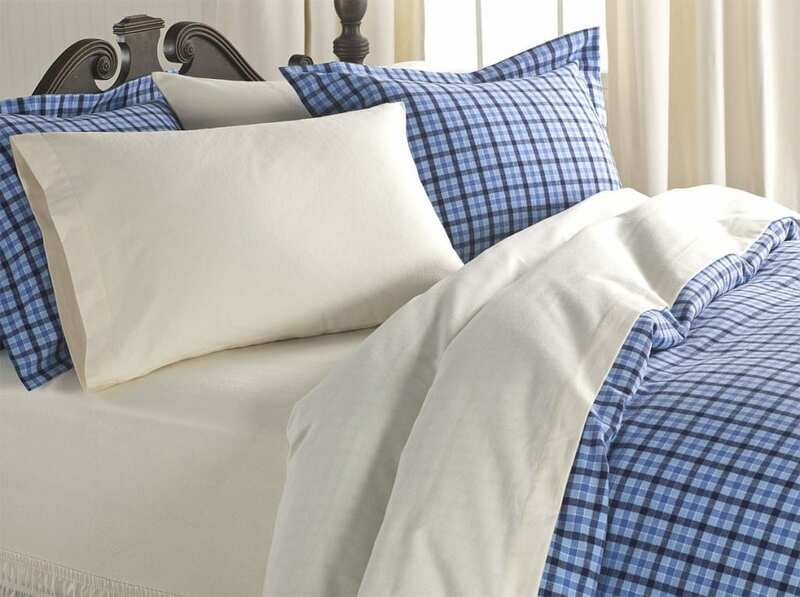 Ours are filled to the brim with a minimum of 75% premium pure white duck down and covered in finely woven 350-thread-count damask stripe cotton. Hypoallergenic Down-Alternative Pillow: If you’re allergic to down or feathers, a synthetic down pillow is an option. It helps reduce neck and back pain by conforming to the contours of your head and neck and proving ample support. It’s patented polyolefin/polyester fill (Fossfill2®) is guaranteed to never lose its loft or softness, even after repeated laundering. Plus, it’s treated to protect against dust mites and odor-causing bacteria. Don’t be afraid of retiring your old favorite pillow. Try something new and different! Shop our top-quality bed pillows today and you’ll soon be sleeping better and waking up feeling much more refreshed! Posted in Seasons, Tried & True Solutions.